The system will then help gauge whether corruption is reducing or increasing every year, according to Chief Ombudsman Anasthase Murekezi. He was speaking on the sidelines of the workshop hosted by Rwanda Police where delegates from different institutions namely Police, Ombudsman, Prosecution and Courts of law were discussing remedies. Participants shaed ideas and challenges that may constitute a loophole for corruption in the country. He said that during this week-long dedicated to fighting against corruption, they will learn a lot together, especially by improving the collaboration between different. “We are planning to develop a system that will link information on corruption found at the level of the ombudsman, national police, with the one from prosecution,” Murekezi told Taarifa. 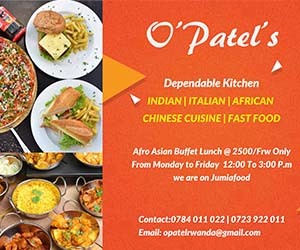 One of the areas of concern include propertie especially from the institution in charge of land and link it to the information from the national revenue authority,” he said. Information will be linked in order to see, for example, the amount and kind of tax was paid on which day. It will then enable them to examnie corruption trends every year. Another area commonly found as the bedrock of corruption is through awarding of contracts through public tenders. The Ombudsman said tendering mulpractices have become rampant and need collective efforts to adress the corruption embeded within. Murekezi said that corruption is still a big challenge, but he assured the public that the government has taken serious measures against it. 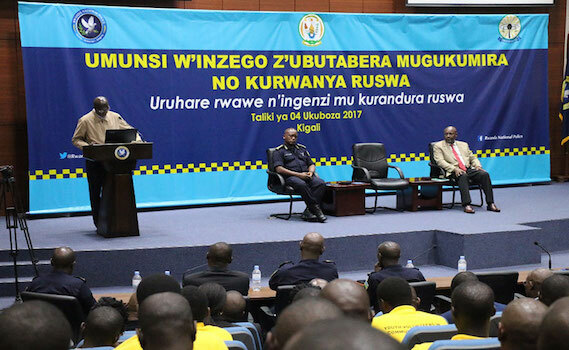 “Corruption is a very difficult problem for Rwanda and all countries, although we cannot let those who receive bribes move freely and be respected yet they should really be seen as thieves,” he said. Below is a summary of the current Auditor General’s Report describing the nature of corruption, misuse and embezzlement of public finds. Meanwhile, the Corruption Perception Index (CPI) released by Transparency International earlier this year, ranked Rwanda 50th least corrupt country in the world. The global anti-corruption watchdog surveyed 174 countries globally, up from the 168 that were sampled in 2016. The progress, according to the Commissioner of Inspectorate of Services and Ethics at Rwanda National Police, ACP Jean Nepomuscene, is a result of a collective commitment by different institutions. In ACP Mbonyumuvunyi’s view, Police is involved in a constant struggle in fighting corruption because for example last year, in 265 corruption files that the prosecution received, 243 of them were handled by the Police. Internally, last year among 280 Police officers that were suspected for corruption, 170 were of them were dismissed while 62 were taken to courts. However, he added that, with more collaboration and coordination among public and private institutions and other organisations so that we all work together in the fight against corruption because it cannot be combated by only one person or institution,” he said. However, he noted that the collaboration between institutions already existed but said there is need to reinforce it. He also said that even though corruption exists among different institutions, it should not be overestimated because measures against it have been taken.